(CBS/KYW/AP) PHILADELPHIA - Linda Ann Weston, the suspected ringleader of an alleged Social Security fraud scheme in which police say mentally disabled people were held captive in a basement, may not completely understand the seriousness of the charges against her, her lawyers said Monday. He also says he has concerns about her mental health, reports CBS affiliate KYW. Weston, 51, along with her boyfriend, Gregory Thomas, 47, and Eddie "the Rev. Ed" Wright, 50, are charged with kidnapping, assault, false imprisonment and other counts. At a brief initial court appearance Monday, Municipal Judge Felice Rowley scheduled a preliminary hearing Dec. 19. A fourth person, Weston's daughter, Jean McIntosh, 32, is also charged and has a hearing scheduled for Wednesday. None of the suspects have entered pleas. After Monday's court appearance, Defense Attorney George Yacouban said it's too early to comment on the defense strategy in the case, and at this point he questions whether Weston is competent to proceed, reports the station. "She appeared very lethargic when I spoke with her (in prison)." Yacoubain told KYW radio. "I spoke to her for approximately 45 minutes about the case. We discussed the gravity of the offenses." According to Yacoubain, he plans to talk with Weston again soon to decide if he should request a competency examination. 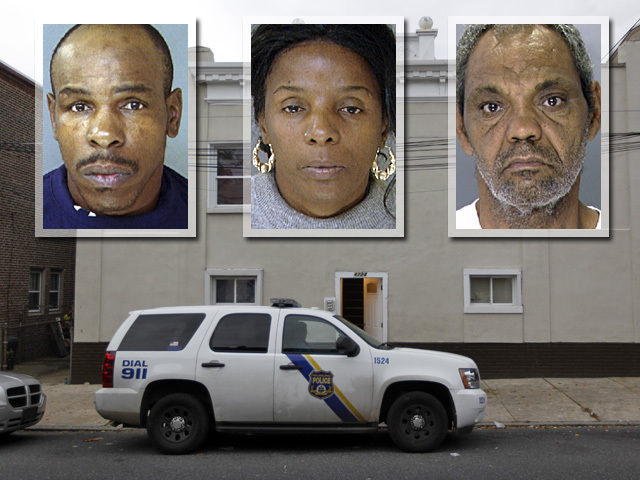 The victims, who authorities say have the mental capacity of 10-year-olds, were discovered by a landlord at a Philadelphia apartment building on Oct. 15. Police identified them as Derwin McLemire, 41, Herbert Knowles, 40, Tamara Breeden, 29, and Edwin Sanabria, 31. They were all malnourished and Knowles was chained to a boiler. Investigators are working to discover the extent of the alleged scheme after finding more than 50 Social Security cards, power of attorney documents, and other such forms in McIntosh's apartment.The suspects may have been taking in the downtrodden and disabled for their Social Security checks, then holding them captive in wretched conditions without enough to eat or drink, police say. Eight children and four young adults linked to the defendants were taken into protective custody. DNA tests are being conducted to determine the children's identities.